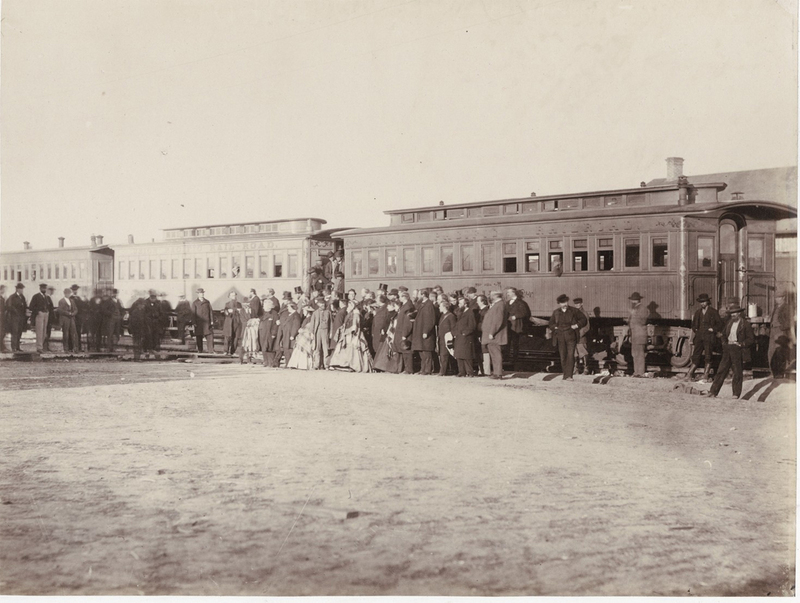 Although Jane Ivinson of Laramie wrote (some 31 years later) that she and her family rode on the first Union Pacific Railroad (UPRR) train into Laramie on May 10, 1868, other accounts give different dates of when the first train actually arrived. From reports in both the Cheyenne Leader and Frontier Index (published in Laramie at the time) that were dated May 5, 1868, as well as letters written by railroad contractor Jack to his wife Frances on May 2, 1868, it is clear that the first train actually stopped in Laramie on May 4, 1868. Many of the people who may have ridden the first train possibly lived along Elizabeth Creek — now called Spring Creek — in tents and crude huts and mainly served the needs of nearby Fort Sanders’ residents. Learn more about the Union Pacific Railroad and Laramie, Wyoming.